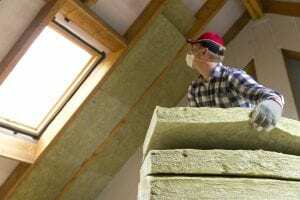 If you need a company to provide reliable home installation services in the Garner, North Carolina, area, you can turn to the pros at 31-W Insulation. Since 1972, we’ve been providing residents of Garner and surrounding areas with quality products, and dependable services. Our unwavering commitment to customer satisfaction has earned us an A+ rating with the Better Business Bureau, and our dedicated and knowledgeable team can easily help determine your home insulation needs. When you contact us for home insulation, we’ll schedule a free initial consultation. One of our factory-trained technicians will perform an inspection to determine your insulation needs. No matter which kind of insulation you choose, you can be confident that you are getting a durable, high-quality product from an industry-leading manufacturer like Demilec, Owens Corning®, or CertainTeed, and that it will be covered by ironclad manufacturer warranties. Moreover, our installation team consists entirely of highly trained company employees, which allows us to maintain our rigorous workmanship standards with every job we complete. To learn more about the home insulation services that we provide to homeowners in and around Garner, contact 31-W Insulation today. We will be happy to answer any questions you may have.